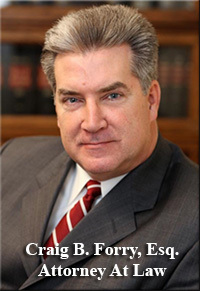 During his almost 30 years of experience as a trial attorney for both plaintiffs and defendants in complex real estate and business related litigation, Craig B. Forry has participated in countless mediations, arbitrations, and bench and jury trials, involving a wide variety of factual and legal issues. His early employment with insurance defense firms and subsequent practice as a partner with Corcovelos & Forry LLP provided Mr. Forry with challenging cases to resolve in pre-trial settlements, or even during and after trials. Over the years, Mr. Forry has determined that each case and the parties must be considered unique for conflict resolution approaches and no single mediation process can be, or should be, applied to each case. Different approaches that are adjusted to the particular characteristics of the case and parties have the best chance of enabling the parties to negotiate to a mutually agreeable resolution. Although willing to employ the facilitative process of dispute resolution, Mr. Forry believes that a certain degree of evaluative involvement in the facts and law of the case can frequently enable the parties and their counsel to find a resolution that they can structure, and thereby avoid the uncertainty, and expense of time and money, of an adjudicative result. 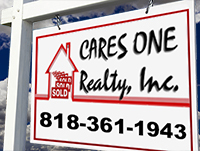 Real Property : Including breach of contract, specific performance, quiet title, adverse possession, fraudulent conveyance, errors and omissions of agents and brokers and escrow companies, boundary disputes, and failure to disclose, and construction defect. Personal Injury: Including negligence, torts, assault and battery, and products liability. Business: Including partnership dissolution and disputes, unfair competition, fraudulent conveyance, collection matters, defamation, and fraud and deceit. Employment: Including wrongful termination, discrimination, retaliation and harassment, wage and hour laws. Insurance Coverage and Bad Faith: Including refusal to defend or indemnify, and bad faith practices. Regardless of the type of case, Mr. Forry will be prepared to facilitate a settlement.